Well, I do hope you try my chocolate-strawberry slump and many of the other chocolate-strawberry desserts from our sweet party. 1. 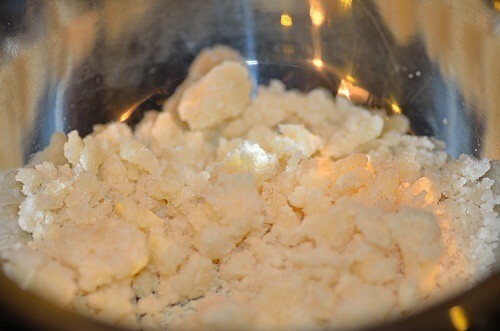 To make crumb topping: In a food processor, combine 2 tablespoons of flour, 2 tablespoons of sugar, and 1 tablespoon of chilled cubed butter and process until mixture acquires a texture of coarse bread crumbs, about 10 seconds. Refrigerate for 30 minutes. 2. Heat oven to 350°F (about 180°C). Grease four ( 6 oz.) ramekins with butter and dust with flour; reserve. 3. 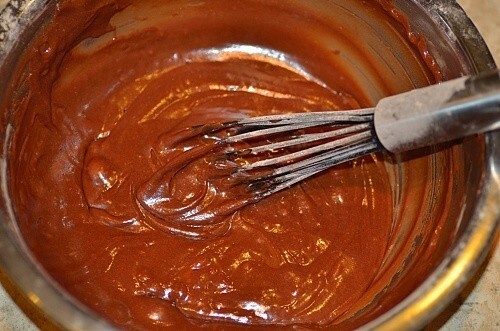 In a medium bowl, whisk together remaining 1 cup flour, baking powder, cocoa powder, and salt; reserve. 4. In a large measuring cup, whisk together 4 tablespoons of melted butter and wine; set aside. 5. In a large bowl, whisk together the remaining 1/2 cup-plus-2 tablespoons of sugar, vanilla, and the egg until pale and thick (about 2 minutes); then, whisk in wine/butter mixture to egg until smooth. Whisk in flour mixture until just combined. 6. 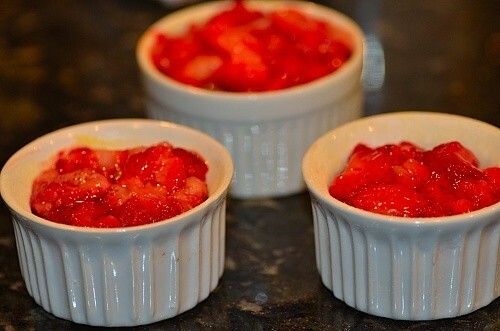 Split batter between the four ramekins and top each with the chopped strawberries. 7. Sprinkle reserved crumb topping evenly over the strawberries. 8. Place ramekins on a baking sheet lined with parchment paper and bake for about 50 minutes or until golden brown and bubbly. Transfer to a rack and let cool for 10-15 minutes. 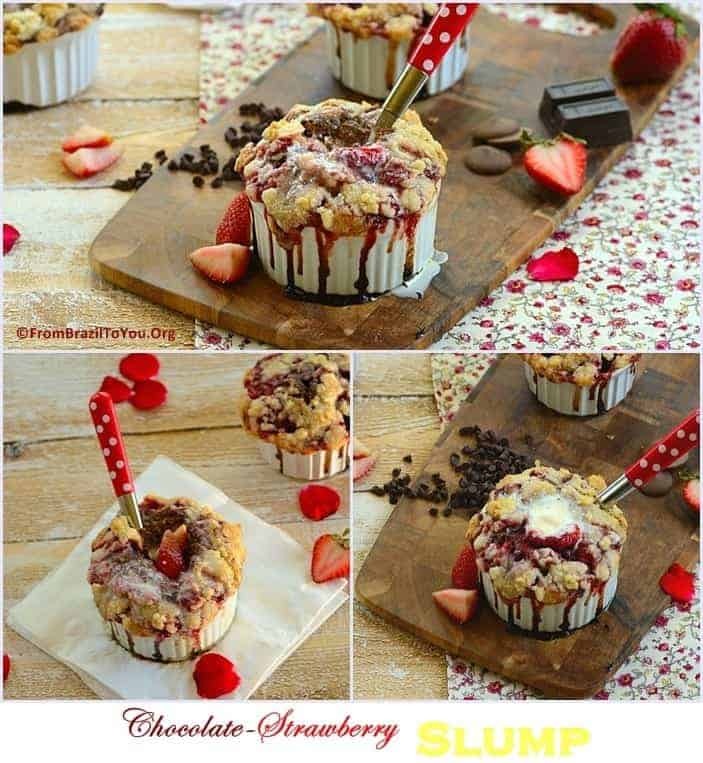 Serve chocolate-strawberry slumps with scoops of vanilla ice cream on top. Note: This recipe was adapted from Blackberry Slump featured in Saveur Magazine. -add the linky code at the bottom of your post. Wow..reading your post makes me wish I was a part of your class too. Very pretty pictures and the recipe sounds fantastic! Thanks a lot, Sonali! I wish you were there. I have never heard of a slump before, but it looks mouthwatering! Erin: Me neither at least until last week. 🙂 But I was glad to find out about it. The thing is DELICIOUS!!! How fun to do cooking classes Denise, I know you must do a wonderful job! 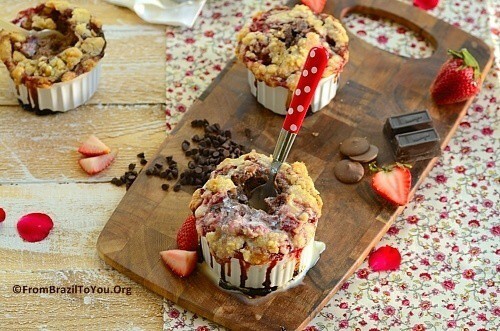 Your chocolate-strawberry slump looks amazing! I love how they puff up so high and pretty! I am saving that tilapia recipe for sure, my husband is crazy for passion fruit, and we have them at the store these days… fresh and delicious! These look fabulous and how fun to be in Austin. I hear it is a great food city! What a fun dessert, I just want to grab a spoon and dig in! This dessert looks amazing. May is my first month too. What fun! NICE!!! Oh how I would love to grab that spoon and have a go at these beauties! Obrigada, Denise for this fabulous recipe. Vanilla ice cream, strawberries, chocolate and white wine in the mix? Who could ask for anything more? I’ve never made a slump but I love all its cousins…crisps, cobblers, buckles. All the yummy juices are the sign of an excellent dessert…please pass me a fork!!! Denise, this looks wonderful, I just pinned to my Berries board. I bet you’re tired after teaching that class! You amaze me with your energy. Oh, Julia! I wish I had all the energy that I need to do all the things that I want…Yes, I am tired yet happy. Thank you for stopping by and pin one of my pictures. I do appreciate it! Wishing you a great week!!!! First, thanks for joining our party! I’m so glad you did! Second, it’s the first time I hear about slump, but all I can say is WOW!!! 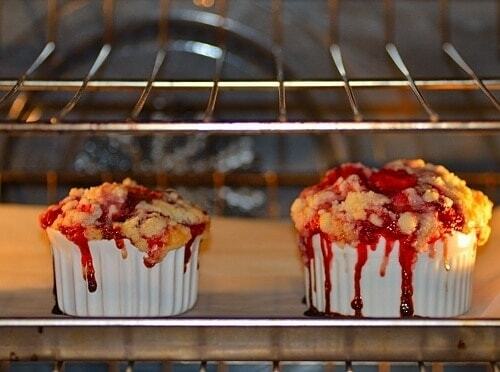 I’m in love with those oozing strawberry juices. It simply calls my name! Third – where did you get those adorable polka dots teaspoons? I’m red with envy!!!! Very happy for you, Denise. Congrats on the class, must be very exciting. 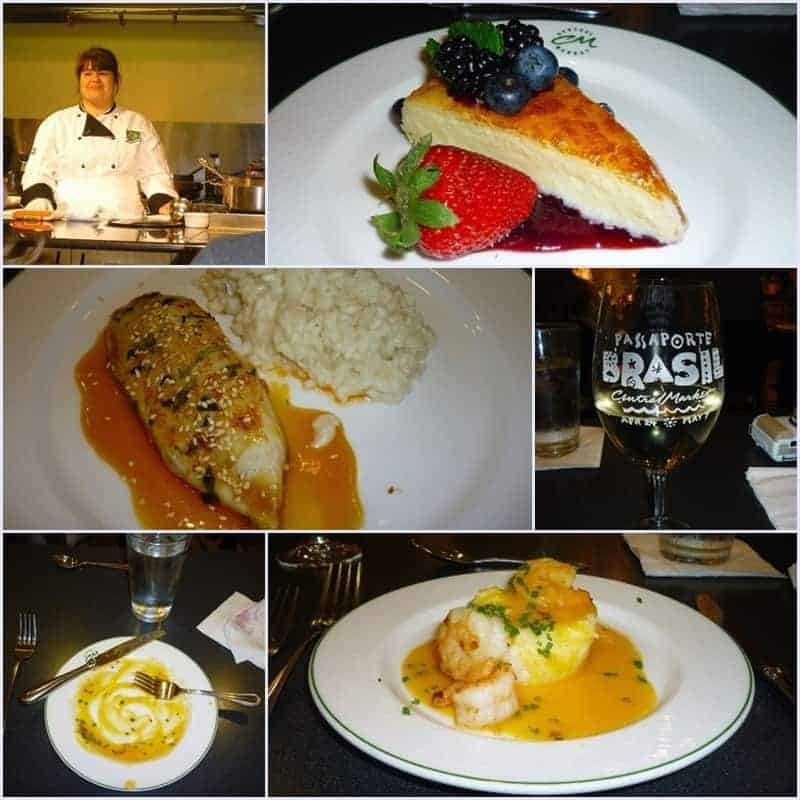 I wish I was part of the class to learn Brazillian cooking from you. I’ve never tried a slump but looking at your pictures I can tell the taste wonderful. 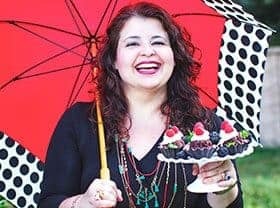 I so appreciate your nice words…I hope one day we can get together so I can teach you a bit of Brazilian cuisine and you can teach me Bangladeshi cuisine. Denise! I am so glad your class went so well! If I was in Houston, I would’ve driven to SA to attend 🙂 your food from the class looks amazing! I bet everyone had a great time with such a fabulous teacher who wouldn’t? I’ve heard of slump but never ate it or made it, but I love all the close relatives of slump! Love your version with all the drizzly strawberry juices! Simply gorgeous! Thanks for this delicious recipe and have a lovely week my dear! Obrigada, querida Juliana! Have a great week too!!! So much enjoy hearing about all the fun you’re been having! If I lived closer I would enjoy taking your classes! 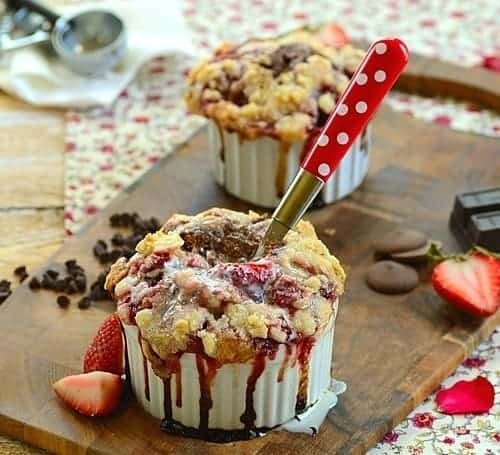 The Strawberry Chocolate Slump is a perfect spring dessert! A scoop of melted ice cream is just irresistible! Oh my gosh that is so beautiful!!!! I love Saveur, and I love, love, love the polka dot spoon! Great photography. These look so yummy, they look so inviting in your photos! I love the name slump too! Congratulations for your classes, what a greta teacher…!!! Wow. I was just looking at all the pictures with my mouth open. This looks like my kind of dessert, yum! How unique! I love slumps, especially made with berries. The chocolate batter on the bottom is ingenious. I just learned my first “Slump”! How delicious…. I saw the pictures on Pinterest earlier and really looked wonderful. The shot with spoon seems like you are suggesting us to pick it up and eat? Very tempting shot! I really wish I can do that in reality! Thanks, Nami! That was my intention…I wish everyone could dig in that slump. It’s a messy and very scrumptious dessert. 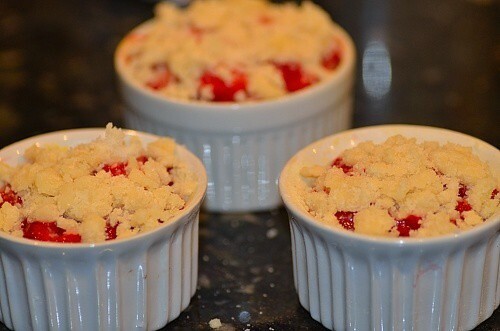 These little strawberry desserts look so delicious with a scoop of vanilla ice-cream yum! Your other photos of the classes you taught look wonderful, what a fun event to be part of. Thanks a lot for your nice words, Suzanne! And welcome to From Brazil To You!!! 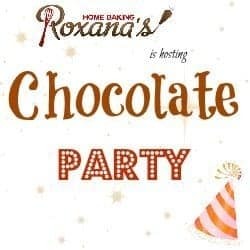 Just stopping by from the Chocolate Party to say hello. I have never tried slump before but it looks like my kind of dessert! I will definitely be saving this for later! this looks like something I could sink my teeth into! This looks delicious, I could eat some of this right now. This looks so delicious! Any idea if I can substitute something else for the white wine? Thanks for stopping by. You can use sprite or seven up instead of dry wine. I hope you enjoy this dessert! This looks amazing. I don’t drink alcohol so I was wondering what I could substitute for the alcohol. Hello, Atiya! Thank you for stopping by. You can use white grape juice mixed with a few drops of either lemon juice or white vinegar to replace the dry white wine. I hope you have the chance to try this recipe and enjoy. Have a wonderful week! I made this desert for a potluck dinner gathering. I double the quantity to serve for 20 people and baked it in one container. My opinion is that I should have kept the chocolate part to one portion and should have doubled the fruit mixer portion to be rich with fruit mixer. Also I added blueberries and black berries along with strawberries. Thank you for stopping by, Meera! I hope you have the chance to make it again adapting to your preferences. Have a wonderful summer!